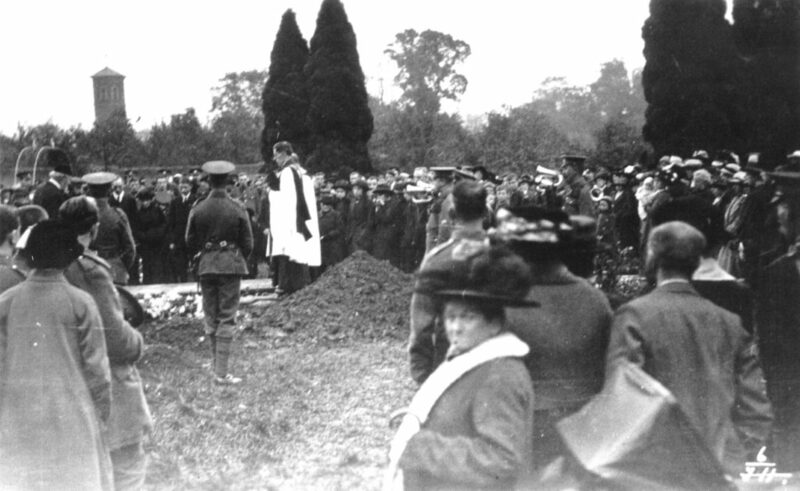 Charlie Sneezum’s funeral in Witham in 1915. At the top is part of the procession, walking into Guithavon Street. These are probably Charlie’s brothers and sisters and cousins. Below that is the burial in All Saints churchyard.